Feeling rushed and frazzled? Want to feel your imaan strengthened and life become more balanced? Wish you could understand the ayah’s of the Quran better and how to apply them to your life? 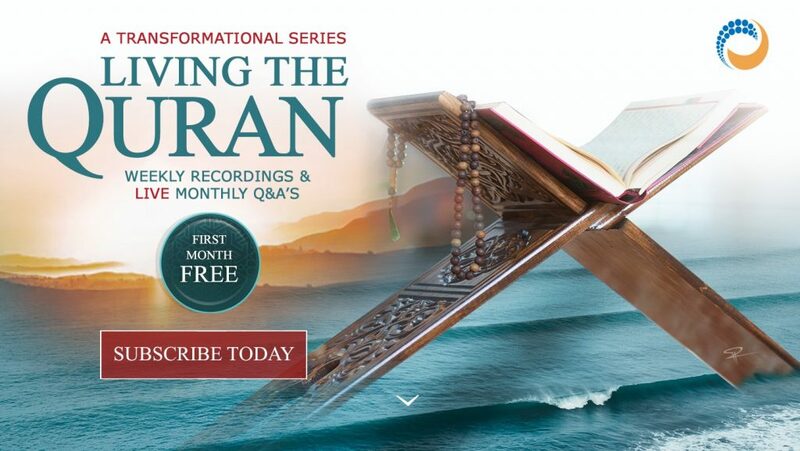 Boost your connection with Allah with Shaykh Haytham Tamim as he reveals how to interpret and apply the ayahs of the Qur’an to your life, transforming your vision, and guiding you how to make daily as well as critical decisions in the light of Qur’an and Sunnah. If you are looking for a teacher who understands the demands and pressures of life, who can make sacred knowledge accessible, then you have come to the right place to learn from a balanced and authentic source. Every week Shaykh Haytham Tamim records a 1 hour lesson for students to view at their convenience. Every 4 weeks there is also an incredible live experience with Shaykh Haytham Tamim in which students can ask their burning questions. Shaykh starts with a recap of all the ayahs covered since the last session and for you to ask your questions. This is an amazing opportunity to find out from a trusted traditional Islamic scholar directly how to improve your character in your specific circumstances and get an instant response. Over time, the effect of the spiritual growth from learning from the recordings and interacting with Shaykh in the live session will insha’Allah snowball into the excellence of good character. Be equipped to ‘Learn, Love and Live Islam’ because one cannot understand without learning, one cannot love without understanding and one cannot truly live Islam without loving it. The price for membership is £0.00 now and then £19.00 per Month. Cancel at anytime via paypal. Go to www.paypal.co.uk and log in to your account. Click ‘Profile’ near the top of the page. In the ‘My pre-approved payments’ section, click ‘Update’. Select the merchant whose agreement you want to cancel and click ‘Cancel’. Click ‘Cancel Profile’ to confirm your request.